Click here to sign up to email specials. For many people, planning a luxury vacation is more stressful than going to work. Instead of enjoying the time off, you are dealing with hotel bookings, airline tickets, and more stress than ever. Whether it’s a solo trip or a family vacation travel, let Travel 15 take care of all the vacation details, so you can just concentrate on rest and relaxation. 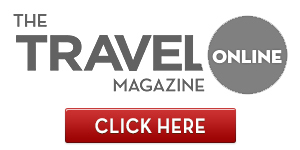 Travel 15 offers the ultimate in cruise, tour, active adventure, ski and spa vacations. From cost-conscious journeys to luxury travel, we will manage every aspect of your vacation from your door to the destination and back—and every experience in between. We customize journeys for independent travelers, and we employ only the most experienced, knowledgeable and well-traveled consultants. Having been in the industry for a long time, these consultants have the resources and core destination knowledge, allowing Travel 15 to provide you with custom travel programs. We are experts on the unpredictability of travel, and everything we do is geared toward making each client’s travel experience the best it can be. Whatever your dream destination, we have consultants with the expertise to plan trips worldwide. At Travel 15, we turn your vacation dreams into reality! Travel 15's membership in Signature Travel Network provides us with enhanced access to value-added offers from the finest hotels, resorts, private rail lines, cruise lines and tour operators. As our client, you are eligible for Signature room upgrades, exclusive events while traveling, private behind-the-scenes tours and shore excursions and added amenities. You enjoy preferred status no matter where you are in the world when you make your travel arrangements through Travel 15. Click here to search for a hotel. Travelers interested in travel focused on the culinary arts, haute couture or music, for example, find our specialized itineraries fascinating. We also plan intergenerational family vacations that include activities (and rest time) for everyone. We make sure each client leaves memories that linger, experience sights that take the breath away, and immerse in destinations that make you want to stay forever. Our cruise consultants have a wealth of information on large, small and mid-sized vessels as well as private yacht charters. From three-day Bahamas getaways to back-to-back voyages and global circumnavigations, our consultants provide you with the most current and valuable recommendations. For more information on River Cruising click here. We have recently partnered with Silversea Cruises to launch a co-branded website. Click here to view up-to-date information from Silversea, including availabilty, pricing and special offers. It’s time to get away from the daily grind and into a surreal, relaxing experience. Whether you’re a first-time traveler or a weekend warrior, we can help you get somewhere incredible. Call Travel 15 today. Copyright © 2016 Travel 15.